If you wish to obtain gas service, please apply to our local office in person, phone or email. under any company schedule on file with the Commission. your gas use over a three year period and service line is less than 75 feet. the nearest available outside wall of the building at which point the meter will be installed. serivce lines, meters and regulators. The Company has a right of inspection at all times. Mobile homes located in permanent trailer parks wherin gas mains have been installed in utility easements or public thoroughfare. foundation so that non of the wheels touch the ground. from and locating the home on permanent foundation. such as change of location or enlargements of service, must be done at the customer's expense. continue service whenever installation is not in proper condition. will be told if deposit is required. months in a preceding twelve month period, or whose service has been disconnected for nonpayment. must pay full deposit before service will be reconnected. one year has expired do not earn interest. dollars ($3.00) and three (3) percent of the excess over three dollars ($3.00). rendered and the billing date. The nuber and kind of units of service supplied. The amount of the bill for gas used. The amount of the bill including sales tax. Total charge of the bill including late payment charge. The date on which the bill becomes delinquent and on which the late payment charge will be added to the bill. If the bill is estimated, a clear conspicuous coding will identify the same. than our estimated amount, the difference will be reflected in the first bill rendered after your meter is read. use. Reviews are made periodically and an adjustment may be made in your payment according to your actual use. have doubts about it's accuracy. If you belive that your meter is inaccurate, please write to us and we will test it without charge. cost of any subsequent test requested at less than thirty six (36) month intervals. hour capacity, require a fee of forty ($40.00) dollars. fast, your fee will be refunded by the utility. request and you will not be responsible for any gas used after three (3) working days. We may not disconnect gas service from December 1 through March 15 if customer is receiving or is eligible for S.A.F.E. Program. If a condition dangerous or hazardous to life, physical safety, or property exists. Upon order by any court, Commission, or any other duly authorized public authority. If fraudulent or unauthorized use of gas is detected and the Company has reasonable grounds to believe the affected customer is responsible for such tampering. We may disconnect gas service in other instances only by providing proper prior notification. health or safety of the person in the household. Failure to pay for merchandise or appliances purchased from us. Failure to pay for service at a different location which has remained unpaid for less than forty-five days. defraud us by using another name. Failure to pay a bill for a different form or class of gas service. If cause is shown or an inablity to pay the full amount (financial hardship will be considered sufficient cause) and the customer agrees to: (a) pay a reasonable portion of the bill (ten dollars or ten (10) percent, whichever is smaller, unless a larger amount is mutually agreed upon); (b) pay the remainder of the outstanding bill within three (3) months; (c) pay undisputed future bills for the term of the agreement as they become due; and (d) has not breached any similar agreement with us pursuant to this rule within the past twelve months. We may add one late payment charge to the amount owed and the agreement must be in writing and signed by the customer and a representative of our Company. If any part of the payment agreement is broken, gas service will be subject to immediate disconnection without futher notice. A payment agreement will also be made available in case of an inablilty to pay a bill which is unusually large because of previously estimated billing misapplicaiton of Commission rules and regulations, or human error, except the late charge will not be added to the payment agreement. Gas service will not be disconnected for nonpayment of a bill or a violation of any rule or regulation without fourteen (14) days advance written notice. Final notice will state the earliest date of any reason for the proposed disconnection. The notification will also contain our telephone number and a reference to this pamphlet about rights and responsibilities. The notice will not be sent before the account becomes delinquent. Company representatives sent to shut off service will make a reasonable attempt to identify themselves and tell someone at the residence that gas service is being shut off. Our representatives will have enough information to give reason for disconnection and the amount of any delinquent bill and will ask for any available proof that the delinquent bill has been taken care of or is currently in dispute pursuant to Commission review. If proof of either of the above is presented, service will not shut off. If gas is shut off and a customer is not at home, our representative will leave a notice that service has been disconnected, giving that location and telephone number of the office where arrangements can be made to restore service. Without proper notice, we will only disconnect service for nonpayment between the hours of 8:00 A.M. and 3:00 P.M. prevailing time. Also we will not disconnect service for nonpayment between after 12:00 Noon of the day immediately preceding any day when our office will be closed. Payment or arrangement to pay all delinquent bills. We will restore service within one (1) working day after all obligations for the reconnections are made. You may register a complaint and request a conference about any matter pertaining to your gas service, including a security deposit, disconnect notice or your bill before it becomes delinquent. The complaint may be in person at one of our offices or in writing either by letter of completing a form available from us or from the Indiana Utility Regulatory Commission. We will promptly and thoroughly investigate your complaint, confer with you on request and notify you in writing of our proposed disposition of the matter. Any customer not satisfied with the way that we plan to handle a complaint may make an online complaint to the Indiana Utility Regulatory Commission to review the matter. 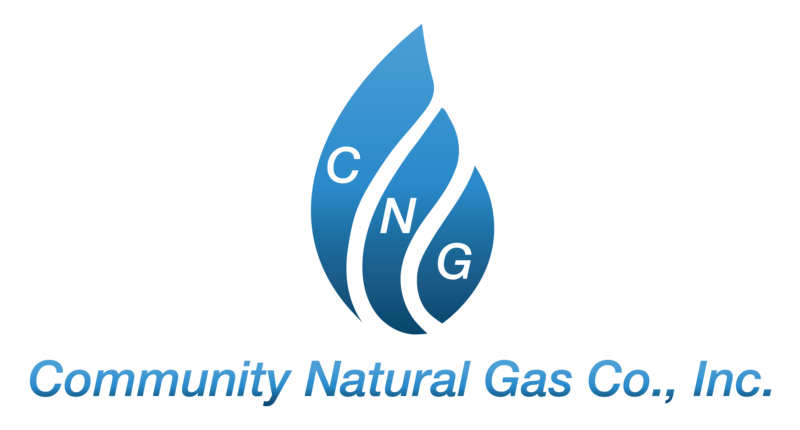 The Commission requires that this request be made within seven (7) days after receiving notice of our plan to handle the complaint, and that a copy of this request be sent to Community Natural Gas Co. Inc. Please contact us if we can ever be of help in answering questions about your account of your natural gas service.